With the change of the month and year comes a change in the weather. Tenerife enters its version of winter for the next seven weeks or so. 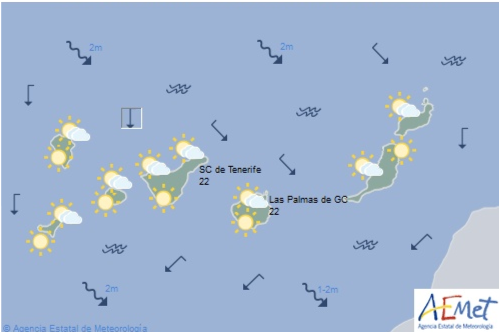 There should be more clouds than in recent weeks and Tuesday/Wednesday look like a certainty for some rain – unfortunately coinciding with the arrival of los Reyes Magos. Temperatures will also drop so that it might feel on the cool side in the shade. Saying that, sun is also forecast for most days and it will still be warm in the sunshine.